The 2018 One Book, One Philadelphia selection was announced this morning! We are very excited to share that for its 16th season, One Book will become immersed in Jacqueline Woodson’s beautiful novel Another Brooklyn. This New York Times bestseller and finalist for the 2016 National Book Award highlights the promise and perils of adulthood, set against a transitioning urban landscape. Another Brooklyn is described as "beautifully lyrical" by The Guardian and "powerfully insightful" by The New York Times. The novel has been praised by The Washington Post as one that "mixes wonder and grief so poignantly. Woodson manages to remember what cannot be documented, to suggest what cannot be said. Another Brooklyn is another name for poetry." 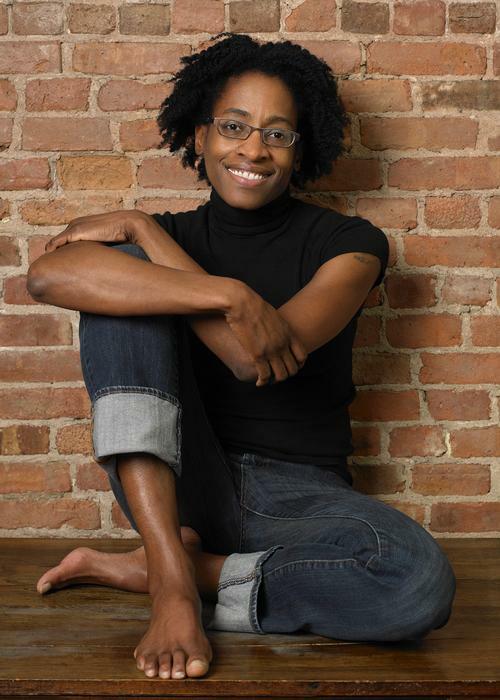 Woodson is also an award-winning author of young adult and children’s books—her honors including the National Book Award, Coretta Scott King Award, and Newbery Honor Award. Her prolific canon gives the One Book program the extraordinary opportunity to offer, for the first time, youth companion books by the same author as the featured selection: middle-grade companion book Brown Girl Dreaming and children’s companion book This Is the Rope: A Story from the Great Migration both showcase Woodson's vast talent. Today’s announcement officially launched what we call the Reading Period, a three-month period during which Philadelphians can dig into the selection before city-wide One Book programming begins on January 17, 2018. So our task now is to READ! "As a novelist, I know something that works better than any synopsis of what a new novel is about. You would be better off reading the first few paragraphs of the first chapter, because that’s all the author wanted you to know about the book before you start reading it for yourself. Believe me: the author just wants you to begin reading." For a long time, my mother wasn’t dead yet. Mine could have been a more tragic story. My father could have given in to the bottle or the needle or a woman and left my brother and me to care for ourselves—or, worse, in the care of New York City Children’s Services, where, my father said, there was seldom a happy ending. But this didn’t happen. I know now that what is tragic isn’t the moment. It is the memory. If we had had jazz, would we have survived differently? If we had known our story was a blues with a refrain running through it, would we have lifted our heads, said to each other, This is memory again and again until the living made sense? Where would we be now if we had known there was a melody to our madness? Because even though Sylvia, Angela, Gigi, and I came together like a jazz improv—half notes tentatively moving toward one another until the ensemble found its footing and the music felt like it had always been playing—we didn’t have jazz to know this was who we were. We had the Top 40 music of the 1970s trying to tell our story. It never quite figured us out. Already, we get a great sense of our narrator—she is wistful, nostalgic. There is a sense of relief at how her family’s story turned out—the "could have" leaving the scarier path untraveled. Yet there is also sadness and pain; the memory of what she will share in the story about to unfold is "tragic." In her reflection on jazz, we get a sense of her youth as a time of confusion and searching for identity: "half notes" that eventually "found … footing" and yet felt the world "never quite figured us out." Note the switch from "I" in the first paragraph to "we" and "our story" in the second; this drops hints about the interplay between the narrator’s development within a tight group of friends, themselves in the midst of developing. We don’t get a straight reflection here; we get the poetry of memory—metaphors and pieces of thoughts. We can expect the rest of the story to follow suit in this mode of lyric memories, in a rhythm much like the jazz the narrator describes. Dig into more of the story by checking out your own copy of Another Brooklyn, available at your neighborhood library or as an ebook or audiobook online! 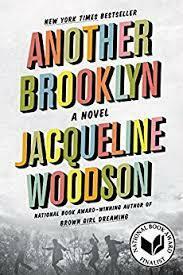 Jacqueline Woodson's Another Brooklyn is the 2018 One Book, One Philadelphia featured selection. Jacqueline Woodson is also an award-winning children's and YA author. For the first time, youth companion books by the same author are the featured supplemental reading selections: middle-grade companion book Brown Girl Dreaming and children’s companion book This Is the Rope: A Story from the Great Migration both showcase Woodson's vast talent.